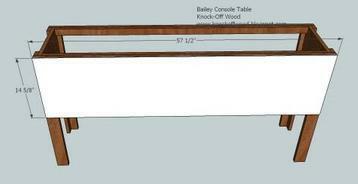 This project depends on your 1x12s being 11 1/2″ wide. If your 1x12s are not 11 1/2″ wide, you will need to adjust – as the drawers are designed to fit a 11 1/2″ wide drawer front, with 1/8 gap around. Adjust the height of your drawer box if your 1x12s are a different height. Cut all your boards. 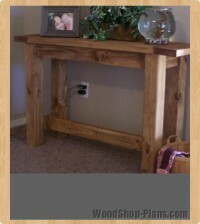 Use 2″ nails and glue, unless otherwise directed. Always nail through and to any neighboring boards. The more different directions you can nail into, the greater the reinforcement. Build the legs as shown above, using boards A and B. 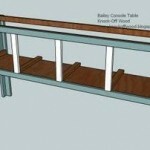 Using boards C and D, build the drawer box as shown above. 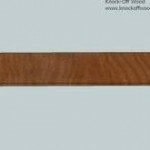 Leave a 3/4″ lip as shown above on the bottom edge of boards C. In other words, board D will sit up 3/4″ from the bottom of board C. This is shown above. 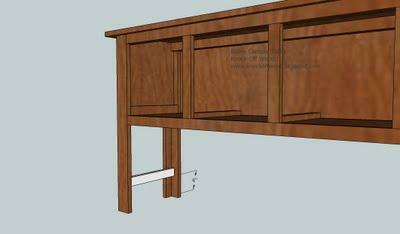 Fasten the drawer box to the legs as shown above. Make sure you nail through the fronts and the sides of the legs into the drawer box. Keep top edges flush. Fasten board E as shown above, keeping top edges flush. 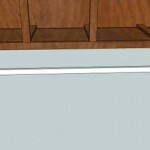 Use 1 1/4″ nails when nailing into the front and back leg pieces. Fasten boards F as shown above. Keep all top edges flush. On the top apron, use 1 1/4″ nails to nail through the back apron into the front apron, shown in white. 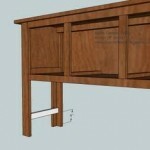 You can use the 2″ nails to fasten the lower trim piece to the drawer box. Add the plywood to the back. Use 1 1/4″ nails and glue and nail all the way around. Make sure you take a square first. 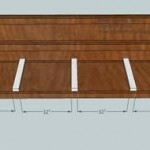 Add the center drawer guides, H, as shown above. Use 1 1/4″ nails. Make sure you measure the back to be certain the guides are in square. Do not guess – your drawers won’t work. Your guides should be flush with the back, but not pass the front trim pieces attached in the previous step. 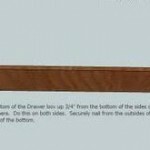 Make sure your drawer guides are 12″ apart, as shown above. 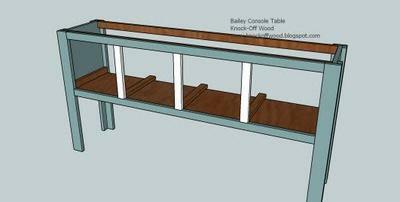 Add the outside drawer guides, as shown above. 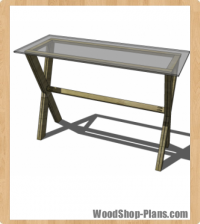 The drawer guides will sit flush with the legs on the front of the console table. Fasten the vertical trim, J, as shown above. 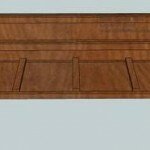 Nail through J into the drawer guides, from under the console into the bottom edge of J, and from the top outer trim piece into the top edge of J. 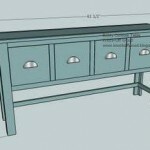 Again, make sure you measure and place J exactly 12″ appart on the top and bottom, as lined up with the drawer guides. Top. 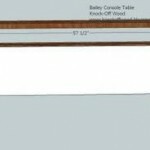 Fasten the center, K to the top of the console, edges lining up with the inner top trim, boards, E. There will be a 2″ overhang on the ends. Then fasten boards L to the outsides of K, as shown in white. Nail through the edges of L into the edges of K to secure. Fasten the side stretchers M with 1 1/4″ nails as shown above. Use the longer nails to nail through the legs into the end edges of M.
Fasten the back stretcher, N, as shown above. Use the shorter nails, 1 1/4″, to nail through N into the legs. 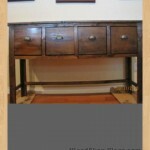 Use the 2″ nails to nail through the legs into the end edges of N.
Drawers. 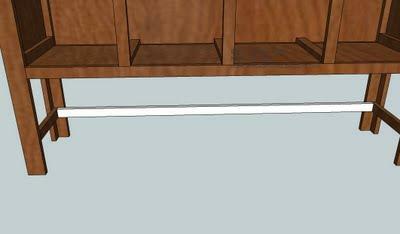 Measure your drawer openings and make sure the openings are 1/4″ larger than the above measurements. 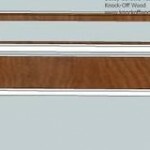 If your measurements are off, you will need to adjust each door to fit. I give an 1/8″ gap around my doors, or 1/4″ overall. Then, take the bottom piece, O, and nail the back piece, P, to it, nailing through the back piece into the end edge of the bottom piece. 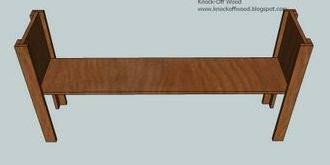 The bottom piece is inset as shown above. Next, nail through the side pieces, Q, into the end edges of the bottom, O, and back, P, pieces. 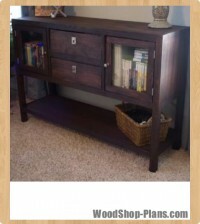 Then fit each door in the console table without the front in nailed on. 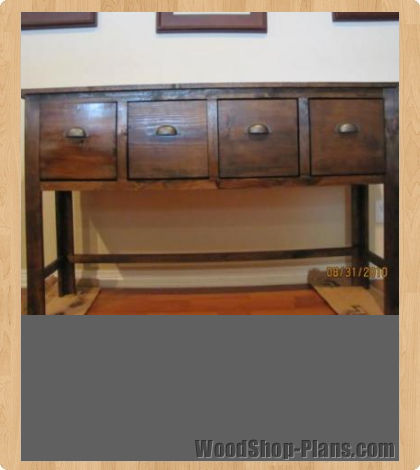 When you are satisfied with the fit, set the face of the drawers on the drawer box. 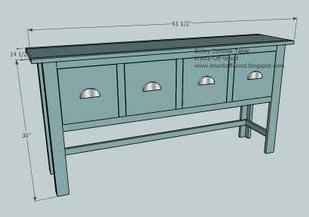 Adjust the face until the empty space around the drawer is even, approximately 1/8″. Then nail through the face into the end edges of the sides and the bottom. Fill all nail holes with putty and sand and finish as desired. 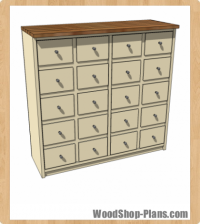 Add hardware to the drawer fronts.